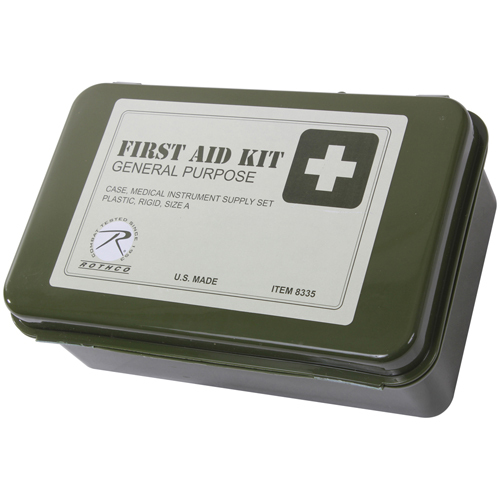 The General Purpose First Aid Kit is a sturdy and solid first aid box made from heavy duty plastic. This tough and rugged first aid kit is waterproof making it ideal for outdoor medical emergencies as well. Protection from water and humidity is a must for most first aid items and this first aid kit ensures the same. The kit is loaded with a number of essential first aid items that can be real life savers during medical emergencies. This US made first aid kit is large and very useful in carrying around first aid items in a safe and organized fashion.